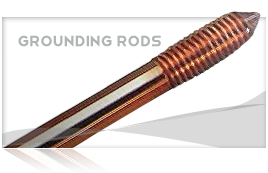 Annealed solid or stranded copper conductor, abrasion, moisture and heat resistant, cross-linked polyethylene insulation. Conductor is surface printed with manufacturer’s identification, conductor size and metal type, voltage rating, and type designation. 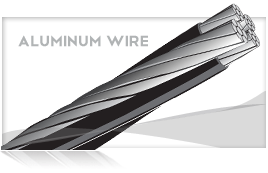 Type Use-2 or RHH/RHW-2 conductors are used in air, conduit or other approved raceways as specified in the National Electrical Code (NEC). 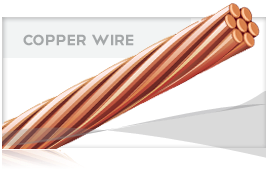 Use-2 or RHH/RHW-2 can be used as underground service entrance cable for direct burial at temperatures not to exceed 75˚ C; or when used as RHW-2 conductor, temperatures are not to exceed 75˚ C in wet locations; or when used as RHH-2 in dry locations, conductor temperatures are not to exceed 90˚ C. 250 MCM and larger sizes may be installed in tray per NEC Article 318. Conductor is rated 600 volts.